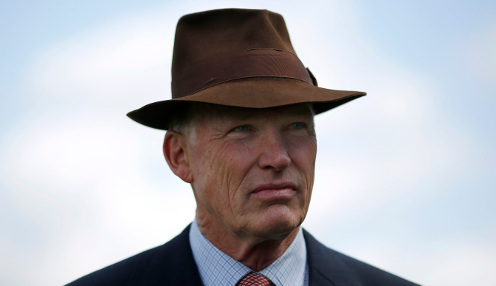 John Gosden is leaning towards giving Cracksman a midsummer break with a view to returning towards the autumn, though the King George VI and Queen Elizabeth Stakes at Ascot isn't being ruled out. The Clarehaven handler claimed the Ascot Group One last summer with star filly Enable and it had been planned as a target for either her or Cracksman this time around. Enable has yet to race this season after a setback, while Cracksman was turned over by Poet's Word in the Prince of Wales's Stakes at Royal Ascot last month. Previous to that, he'd only just scrambled home to win the Coronation Cup at Epsom. Gosden suggests the son of Frankel is well in himself, but he is still considering a short break with plenty targets ahead later in the year. "He's full of himself, he's happy as anything. We're obviously freshening at the moment, we'll do a little bit of work," said Gosden. "We'll keep an eye on the King George, but he's more likely coming back for a late summer/autumn campaign, we're not even halfway through the year as yet." Cracksman, now 5/2 in the King George VI and Queen Elizabeth Stakes betting, ran much better than many people have initially felt at Royal Ascot according to his trainer, and the Sir Michael Stoute-trained winner Poet's Word put up a top-notch performance in Gosden's eyes. "He's (Cracksman) won two Group Ones and been second in one. He ran a phenomenally good time at Ascot," the trainer added. "Poet's Word was immensely impressive and beat him fair and square - look how far back to the third (Hawkbill) who ran well in the Eclipse, so I don't think it was bad form for a horse who was pretty lackadaisical that day." Poet's Word is 7/4 to win the King George VI and Queen Elizabeth Stakes, while his stablemate Crystal Ocean is currently 6/4 to give Stoute a record-breaking sixth success in the Ascot midsummer showpiece.